There comes a time in every person’s life to deal with this type of situation and it is: Cyberbullies. I had two experiences, one of them directly to me and another was a YouTuber. Let me start with mine first. I was commenting on YouTube about a game I disagreed with. The next day somebody posted a horrible yet true comment about my opinion. This guy was talking trash about me while at the same time putting good points that I never thought about the video. I agreed with his post, but that doesn’t make an excuse for calling me such horrible names just because I was wrong about something. You would think I would trash talk him too but no, I calmly said to him, “thanks for that helpful response but improve your attitude sir.” The next response he didn’t take it well and said the last hateful comment and left the internet. So in the end I won despite being wrong on my explanation in my comment; I won for not letting a troll get me down. Now the second experience is when a guy on YouTube made a mistake on a company he sponsors with and for some reason people found out about the incident and started to trash talk him. He later fixed his problem but people still trash talk about him even if he made an apology video. The comments were full of jokes about his mistake until he finally decided to do damage control and censor some words in his channel, so that people can’t use that “certain” word about his mistake and “might” leave him alone. Now the problem didn’t solve completely but it cut a lot of garbage in the comments. Eventually after four months, the trolls started to leave him alone only because he didn’t respond to the hate mails. Like I dealt with the guy on his hateful comment about me, don’t respond to him with a hateful comment, because you’re just going to feed the troll. Either relax yourself and comment something in a composed way or just don’t respond to them. If they keep on bothering you just block them, it’s as simple as that. They have features that do that in almost all social websites. If that person keeps on finding ways to torture you, don’t be afraid to ask for help and report him! Keep telling somebody that you need help from a problem that you might not be able to solve by yourself. A teacher, principal, parent, friend, whichever. As long as you feel secure about yourself that somebody is dealing with this problem. These are only the simple ways to solve cyberbullying and they don’t realize that a person can hurt someone just as much as in real life. 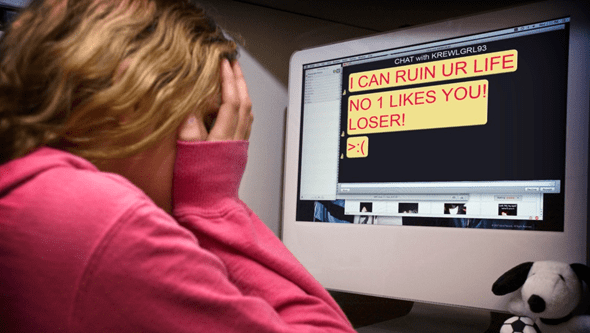 So much worse that even people commit suicide only because of cyberbullies ruining their life. Why is that? Why do people do those kinds of things? Well, there are many reasons why but nothing specific. Maybe the person doesn’t know that he/she can be in trouble just by commenting something vulgar on Twitter and thinks he’s free of doing whatever he pleases. Maybe some people have mental issues, it’s true! I’ve heard people say the most disgusting things on the internet so we might think that this person has issues. Finally it could be they just want attention. I’ve seen people on the internet only start his/her videos on YouTube and spew hateful and meaningless conjectures only for attention. Ignore them! Stop commenting to trolls on any social sites or even they make a video about it! It’s just meaningless and is just going to grow worse on the internet. Let’s be smart and educate people about how to use the internet responsibly. Nicolas, This article is a wonderful contribution to the issue of Cyberbulling and shows a great combination of both head and heart. Terrific job! Finally it could be they just want attention. I’ve seen people on the internet only start his/her videos on YouTube and spew hateful and meaningless conjectures only for attention. Ignore them! Stop commenting to trolls on any social sites or even they make a video about it! It’s just meaningless and is just going to grow worse on the internet.